Civic Center is an interesting neighborhood located in downtown Manhattan. What makes it special is that it is tucked right in the middle of the hustle and bustle of busy areas like Chinatown and the Financial District. In New York City, it is classified as the “heart of the Government.” In its huge buildings, debates stretch for hours on critical decisions, and you will find the elite all dressed up in their suits with briefcases rushing in and out. Located centrally, with glossy marble staircases at every turn, Civic Center is a neighborhood that is very easy to access. It has about 15 subway tracks running through it at different stations , mostly because it is the hub of many important administrative institutions. Along with prominent historic buildings and courthouses, there are a number of other tourist attraction spots that make this neighborhood an interesting destination for travelers wanting to see a different side of the city and experience some of the more historic attractions in Downtown Manhattan Make sure you choose a good place to stay around Civic Centre for your upcoming trip if you prefer a quiet neighborhood. Apart from numerous government institutions and historic buildings packed neatly in the area, this is the place where many major publishers and business initially set up shop and prospered, from as early as the late 19th century. This is where the “yellow press” originated and you will be able to see the tall towers of newspaper businesses and banks standing magnificently. However, in present times, most of these towers have been converted and repurposed into comfortable housing tenements. Even though it is also a residential area, the population here is relatively less, and this makes it a neighborhood in Manhattan that is less populated and crowded as compared to the other neighborhoods. On weekends, Civic Centre is quite serene, even during the evenings. Apart from enjoying some time sightseeing, entertainment options here are limited. However, this is compensated by the fact that other attraction-filled neighborhoods are in close proximity. Towards the west lies Broadway – the “soul” of New York City. Here, you get to enjoy the endless nightlife and entertainment options. Towards the North is Chinatown, jam-packed with colorful and diverse shopping opportunities, diners, and cafes that offer the best of Asian cuisines. If Asian food is not what you like, and if you are the picky sort, you can head over to the Financial District, an area packed with upscale bars, restaurants, and cafes. 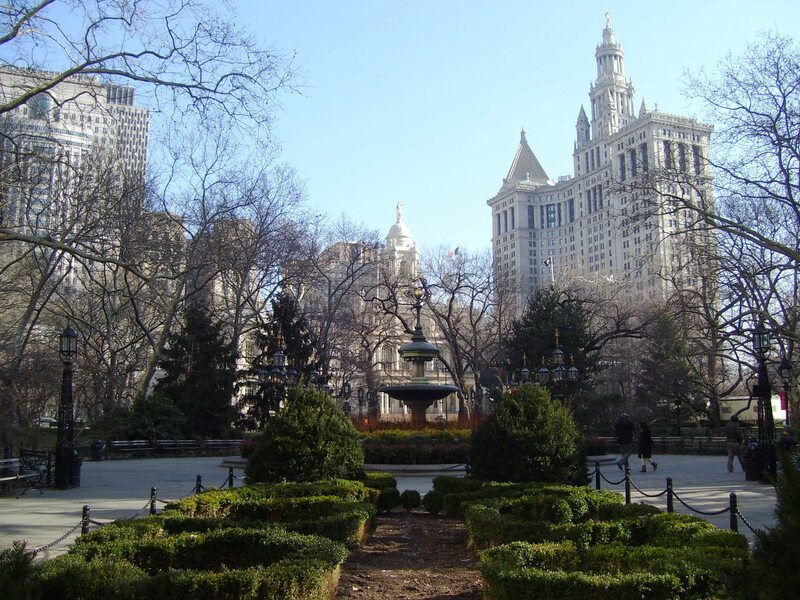 A remarkable landmark in this neighborhood is the City Hall Park and its elegant and unique structure — the New York City Hall. This place in Civic Center is now known as a spot that hosted various historical events. It was here that Nelson Mandela spoke to the nation in 1990, Abraham Lincoln’s memorial service was also held here. And these are just a couple of instances, among dozens, that have marked the New York City Hall as historic in the truest sense.